Rensselaer Engineering has a been a vibrant and evolving source of discovery and innovation for nearly two centuries: a place where students and faculty come together and work to solve the grand challenges facing humanity from human health and mitigation of diseases, energy and the environment, and infrastructure resilience, stewardship, and sustainability, among others. We educate a new generation of engineers who not only obtain a deep knowledge in their respective fields, but are also able to work across disciplines to solve the complex problems of our times. 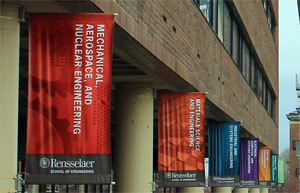 Rensselaer School of Engineering is home to seven departments offering 12 undergraduate and 19 graduate degrees. The School has a diverse student body representing gender, race, geographical, and intellectual diversity. Students come from across the United States and many countries around the world. In addition to a strong base in fundamental sciences and rigorous courses in engineering disciplines, our curriculum includes broad exposure to humanities, arts, and social sciences. Student experience is further enhanced by opportunities to participate in numerous co-curricular activities, leadership and team work, and community engagement. Pedagogical innovations, focused on experiential learning, innovation and entrepreneurship, and integration of new technology into classrooms place us at the leading edge of 21st Century technological education. Our faculty include members of National Academy of Engineering, National Academy of Inventors, Fellows of many National and International Societies, and many winners of NSF, ONR, and DOE young investigators. The School of Engineering research attracts over $50M in external research funding in areas closely aligned with those of the Institute, aimed at solving the grand challenges facing the society and the planet. Rensselaer Polytechnic Institute, founded in 1824, is America’s first technological research university. 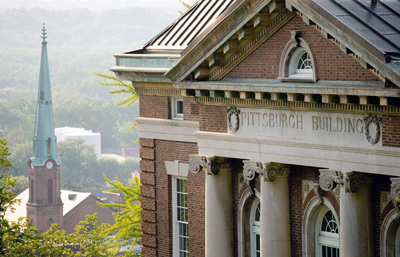 Perched on a 275-acre hilltop campus overlooking the Hudson River in the historic city of Troy, in the heart of upstate New York’s Tech Valley, Rensselaer Polytechnic Institute has long been a leader in educating men and women in vanguard technological and scientific fields. The university offers bachelor’s, master’s, and doctoral degrees in engineering; the sciences; information technology and web sciences; architecture; management; and the arts, humanities, and social sciences. Rensselaer faculty advance research in a wide range of fields, with an emphasis on biotechnology, nanotechnology, computational science and engineering, data science, and the media arts and technology. 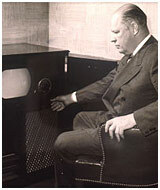 The Institute is has an established record of success in the transfer of technology from the laboratory to the marketplace, fulfilling its founding mission of applying science “to the common purposes of life.” We usher along new discoveries and inventions that benefit humankind, protect the environment, and strengthen economic development, shaping the very way we live in the 21st century. For more information, please visit http://www.rpi.edu.